CANDI STATON-STAND BY YOUR MAN. Many people who regularly read this music blog will have realized that I’m a great lover of Southern Soul music. Two labels in particular, were the home to some of my favorite artists who during the sixties and seventies, released some of the greatest Southern Soul music ever recorded. These were Hi Records, home to Al Green, Otis Clay, O.V. Wright and Ann Peebles, all produced by the man with the midas touch, Willie Mitchell. Meanwhile, Rick Hall’s Fame Studio had Arthur Alexander, Arthur Conley, Wilson Pickett and the lady who gained the title the First Lady of Southern Soul, Candi Staton, recorded some brilliant Southern Soul music. Between 1969 and 1972, Candi released three albums and had sixteen R&B hit singles. During that period, Candi established her reputation as one of the greatest female soul singers. Her debut album was I’m Just A Prisoner released in 1969, and an album I’ve reviewed before. The album this article is about is her 1971 album, Stand By Your Man, an album that saw Candi nominated for a Grammy Award. She was nominated for her version of the title track, Stand By Your Man, which in my opinion is the definitive version. Forget Tammy Wynette’s version, Candi’s version is just so much better. Her third album entitled Candi Staton, released in 1972, was her final album for Fame. Like her previous album, one of the tracks was nominated for a Grammy Awards. In the Ghetto, a track recorded by, and synonymous with Elvis Pressley, was nominated for a Grammy. Each of the three albums feature some great music, and are a must have for anyone who loves Southern Soul music. Of the three albums, my favorite has always been Stand By Your Man, and I’ll now tell you why. Having opened the album with such a stunning track, Candi has set the bar high. Following Stand By Your Man is no easy task. How Can I Put Out the Flame is the track that’s next, and when it opens, you immediately realize that this is another great slice of Southern Soul, albeit one that sounds as if it has its roots in gospel music. Straight away, the mood is one of sadness, when guitars, rhythm and brass sections combine with piano and organ. When Candi sings, her voice is laden in sadness, and full of drama. Her vocal is strong and powerful, sitting atop an arrangement that has set the sombre mood from the opening bars. It’s a song about love, and the difficulty of a relationship breaking up, and trying moving forward in life afterwards. Candi’s delivery of the lyrics matches the sadness of the lyrics, as if she can empathize with the lyrics she’s singing. This is what she does so well, interprets the lyrics in such a way that she almost lives them. Like the previous track, the arrangement is perfect for the song. It’s slow, melancholy, getting across the heartbreak and sadness of the lyrics. 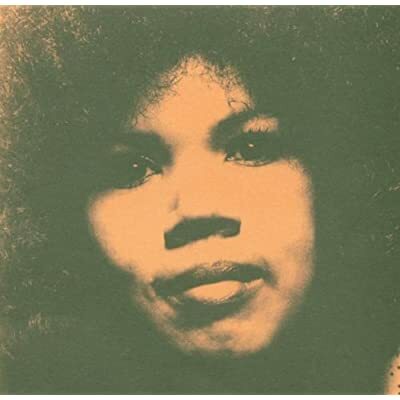 Together with Candi’s heartfelt and moving vocal, How Can I Put Out the Flame, is a worthy successor to Stand By Your Man, demonstrating just how talented a vocalist Candi Staton really is. When I hear the slow, steady drumbeat that opens I’m Just A Prisoner (Of Your Good Lovin’), I immediately hear similarities with the drum sound on certain Phil Spector tracks. However, that’s where the comparisons end. This is very different to anything Phil Spector ever produced. Here, the track starts slowly, with the drums dominating the sound, before percussion, guitars and bass combine. After that, the tempo increases, and arrangement fills out, with chiming guitars and the rhythm and brass sections dominating the sound. Meanwhile, Candi delivers the lyrics about being hopelessly in love with a combination of power and passion. You can fail to be impressed by the way her vocal soars, as she almost screams and roars the lyrics, but not once losing control of her voice. Like the two previous tracks, it’s Candi’s vocal that steals the show. Here, she gives one of her most powerful and passionate vocals on the album, and in the process, brings this song to the life. Me and Mrs Untrue has a much slower and melodic opening, with a Hammond organ, accompanied by the rhythm section and guitars before a trumpet plays, as if announcing the arrival of Candi. Her vocal starts of much gentler, before gradually growing in strength and power, as she sings about a secret extramarital assignation at a hotel. As her vocal grows, so does the arrangement, with grand, stirring strings sweeping, accompanied by a piano, while the brass section drench the track with sadness and atmosphere, at the almost seedy scenario Candi sings about. Candi’s delivery of the lyrics is so realistic, that you can almost imagine the scenes unfolding before your eyes. You can picture the awkwardness, the fear of being discovered and the sense of danger that the duo would be aware of. Candi allows you experience this scenario over three and a half minutes, with the help of another great arrangement from Rick Hall. Quite simply, this is easily one of the best tracks on the album, and is by far, the best version of this song that I’ve ever heard. On the original album, the final track on the first side was Too Hurt To Cry, another song about falling out of love, and a man leaving his partner for another woman. In the song, the woman is heartbroken, having devoted her life to her man, and is so bereft, she’s too hurt to cry. This track features another outstanding vocal from Candi, full of emotion, hurt and sadness, while the arrangement has a bright, sweeping sound that’s full of dramatic peaks and troughs. A piano brightly plays, while the brass and string section combine with guitars and rhythm section as the track opens. Thereafter, the band combine lush strings, short, bright, bursts of brass, with chiming guitars and a driven rhythm section, to produce an arrangement that’s dramatic yet, melodic and catchy. Meanwhile, Candi’s vocal is dynamic, laden emotion, and delivered with power and passion, bringing home the misery and sadness of a relationship that’s gone wrong. Too Hurt To Cry is an example of the type of song Candi sung best during her years on Fame Records. It’s a gut wrenchingly sad tale of love gone awry, delivered with passion and drama, and made all the better by Rick Hall’s outstanding arrangement. What was the second side of the album, opens with He Called Me Baby. It opens slowly and subtly, guitars chiming, while the rhythm and string sections combine before Candi sings. Her voice is quieter, understated even. This suits the lyrics, with her quieter delivery meaning you tend to focus on her voice, listening intently to the lyrics about love and loving. Having said that, she still deploys some of her immense power later on in the track, but does so sparingly. Behind her, a similarly subtle arrangement unfolds. Strings, guitars and the rhythm section demonstrate that just a few instruments can produce an arrangement full of drama and emotion. By the end of the track, Candi has given a subtle and emotional performance, that demonstrates her versatility as a vocalist. Here, she shows that whether fast or slow, loud and laden power and passion, or quiet, subtle and tender, she can deliver a song just as well. Sweet Feeling has similarities with He Called Me Baby if you listen carefully to the drums and guitars on each track. It’s the drums and guitars that open the track, playing slowly and thoughtfully, as Candi gives a performance laden in passion and emotion, while a piano and brass section add drama to the track. As the track progresses, it just keeps getting better and better. Not only does Candi’s soaring, passionate and dramatic vocal just keep improving, but so does the arrangement. The longer it goes on, the more its drama tugs at your heartstrings. It matches the passion and drama of the vocal, and is melodic, and laden with hooks. There is an irresistibility to the track, thanks to the arrangement, and of course Candi’s vocal. This is just a hugely emotive track, and one that you just can’t get out of your head. Absolutely stunning and one of the tracks that make this a must have album in any record collection. It’s a slow and melodic opening to To Hear You Say Your Mine, a track that has its roots in gospel music. When you hear the track, there’s only one place it could’ve been recorded, Memphis. The track opens with a flute, piano and atmospheric Hammond organ accompanying Candi’s slow, thoughtful vocal. Like every track on the album, she gives everything she has as she sings the lyrics about love and longing for someone to be yours. Behind her, Rick Hall’s arrangement is slow, atmospheric and typical of the Southern Soul sound. Guitars, rhythm and brass sections, combine with organ and piano, producing an arrangement laden with drama and emotion. Here, both Candi and the arrangement are at one, combining masterfully to produce a track that can’t fail to move even the stoniest heart. What Would Become of Me sees piano and Hammond organ combine, before guitars and the rhythm section enter along with Candi. Her voice has an inherent sadness as she considers whether she can live without her man. As her voice rises, soaring full of sadness and emotion, the arrangement sympathetically grows. The brass section interjects, short, sad bursts, accompanied by shimmering, chiming guitars, piano and steady rhythm section. However, they’re just a conduit for Candi’s powerful, vocal laden in drama and passion. Again, she lives the lyrics, bringing home the reality of the lyrics, making the sense of loss and hopelessness almost tangible. This is something that not many vocalists can do. They can sing about it, but can’t bring the lyrics to life. That takes someone special, someone like Candi Staton. Along with Rick Hall’s sympathetic arrangement, this is a potent, powerful combination. Stand By Your Man closes with Freedom Is Just Behind the Door. A combination of guitars, funky bass and atmospheric Hammond organ combine with drums as Candi delivers a vocal that’s full of pride, pride at her independent spirit and bravery at leaving a relationship gone wrong. Horns serenade her, wisdom and bravery, while backing vocalists soulfully interject. The Hammond organ is at the heart of a joyous arrangement, full of blazing horns and bright, chiming guitars, with drums dramatically punctuating the sound. By the end of this joyous track, you feel like shaking Candi’s hand, and saluting her bravery at casting off the shackles of her mean, mistreating man. This celebratory track is the perfect way to end Candi’s second album Stand By Your Man. At the start of this review, I said that this was my favorite album of the three that Candi recorded for Rick Hall’s Fame Records, and said that I would tell you why. Well, the reasons are quite simple and straightforward. On the album are ten great songs, which Candi brings to life with performances laden in emotion and passion. She delivers many of the songs powerfully, others thoughtfully. During each track, she delivers the lyrics with everything she has, giving something of herself during each performance. She is by far, one of the greatest soul singers ever, able to bring a song to life, injecting feeling and emotion, and delivering the song thoughtfully or passionately. As I said earlier, Candi lives each song, and this is demonstrated perfectly on tracks like Stand By Your Man, Too Hurt To Cry and To Hear You Say Your Mine. Someone who played a big part in Candi’s success was producer Rick Hall. His production is almost flawless, and he seemed to be able to bring out the best in Candi Staton, resulting in three great albums and sixteen R&B hit singles. One group of people who we mustn’t forget, are all the musicians who played on this album. At Muscle Shoals, she worked with some of the best musicians in America, veterans of soul music who seemed to have an innate ability to play just the right notes, at just the right time. Together with Rick Hall, they helped Candi produce some of the best Southern Soul music that you’ll ever be privileged to hear. The music on Candi’s three albums for Fame is timeless, with Stand By Your Man being the best of the three. So, if you’re one of the many people who when Candi Staton is mentioned, think of her later disco classics like Young Hearts Run Free, why not discover the real Candi Staton, the woman once crowned the “first lady of Southern Soul.” Standout Tracks: Stand By Your Man, Me and Mrs Untrue, Too Hurt To Cry and To Hear You Say Your Mine.